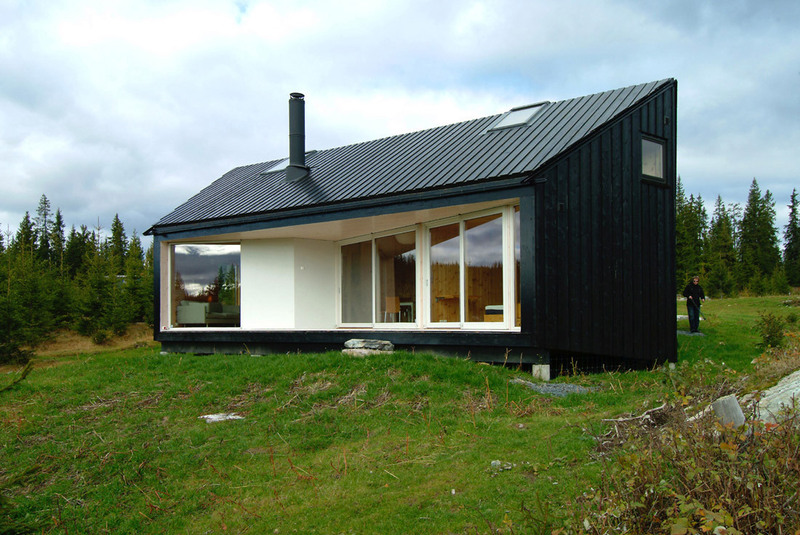 Cabin design is a slippery slope. Stick to traditional conventions and you’ll end up with a caricature of a cabin, based on nostalgic ideas and faux details at the expense of function and aesthetics. Get seduced by the sleek images of high-end design in magazines and sensationalized websites and you’ll get an overly-precious artistic statement that will make kindling out of your budget. In between there’s a balance, but it requires that the owner and design team establish clear goals about the project values and maintain a mindfulness throughout the design process. BUILD recently worked through some cabin prototype designs and it was refreshing to revisit a particular piece of wisdom pertaining to cabin architecture: A cabin shouldn’t be as refined and as formal as a house. 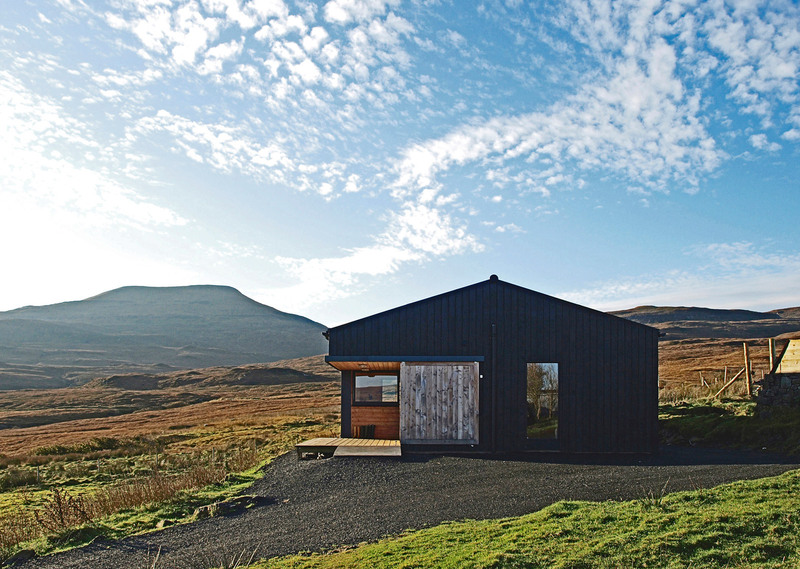 After all, it’s the earthiness and informality that most people are seeking out with a cabin. A cabin should be unsophisticated and what we might even call enjoyably crude. At the moment, there’s a great deal of work out there passing as down-to-earth and rustic, though the price tags of this work would suggest quite the opposite. 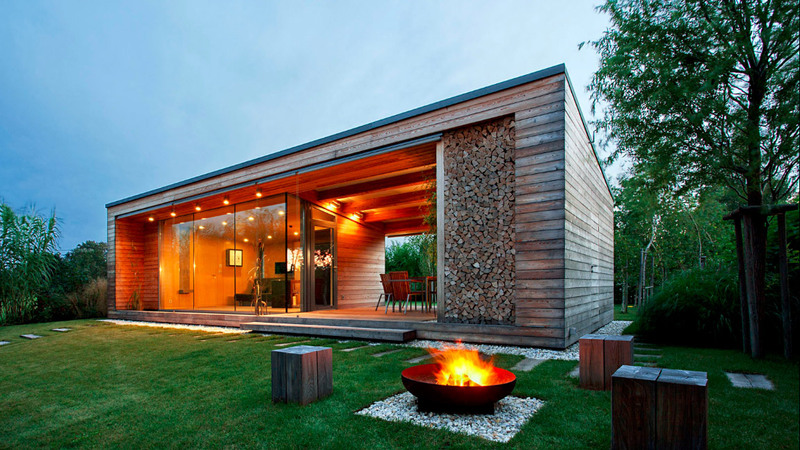 Cabins should be sensible and an important part of designing something that’s down-to-earth is a reasonable construction budget. 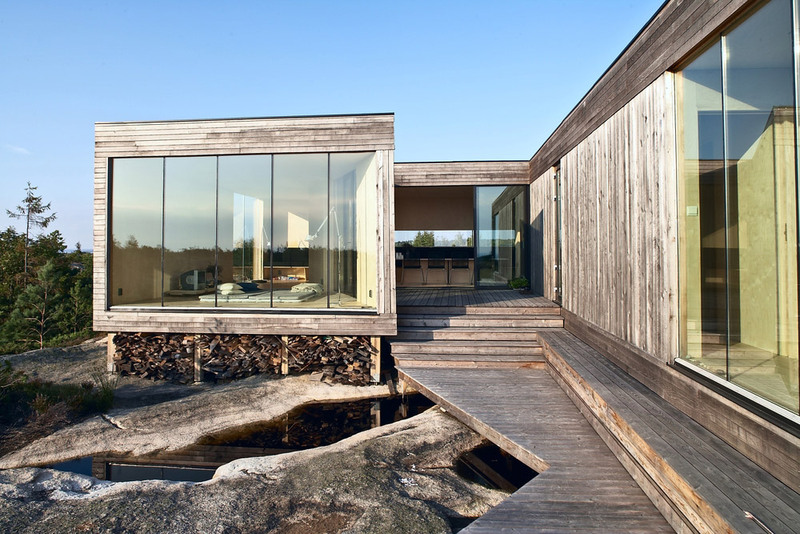 Flawless floor to ceiling concrete walls, huge steel windows, or structural moment frames may establish a utilitarian aesthetic but the actual costs associated with such design moves puts these “cabins” in a category of architectural elitism. 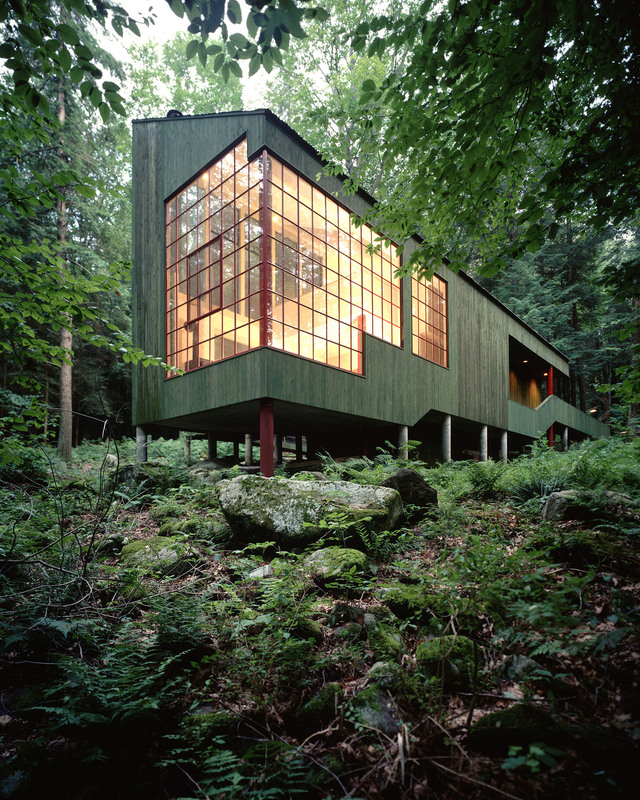 The same goes for the delicate cabin designed as Japanese puzzle-box or the art installation in the woods. 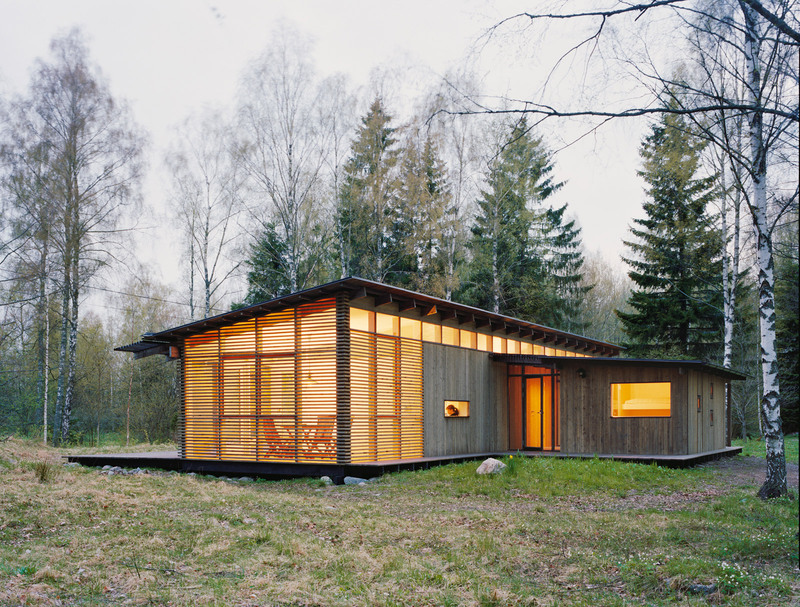 These typologies simply don’t meet the bar of cabin sensibility in our opinion. This isn’t to say that cabins shouldn’t be clever and design-forward, it’s just that cabins require a more sensible balance of priorities. 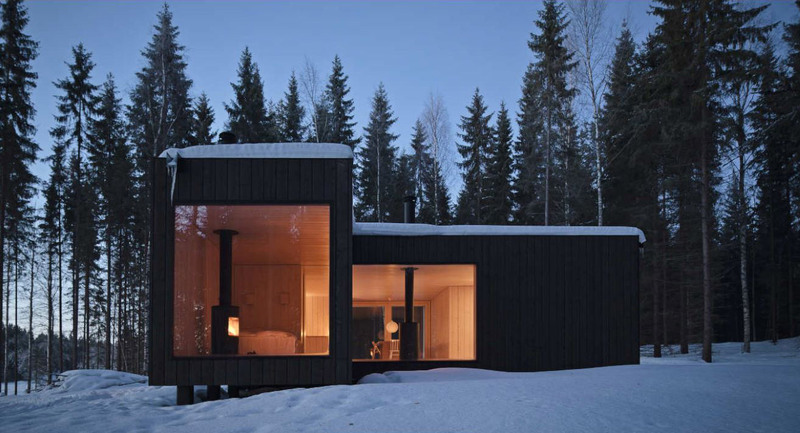 Today’s post is a study of 16 no-nonsense cabins, each of which illustrates a balance of thoughtful, modern design without become overly precious or ridiculously expensive. 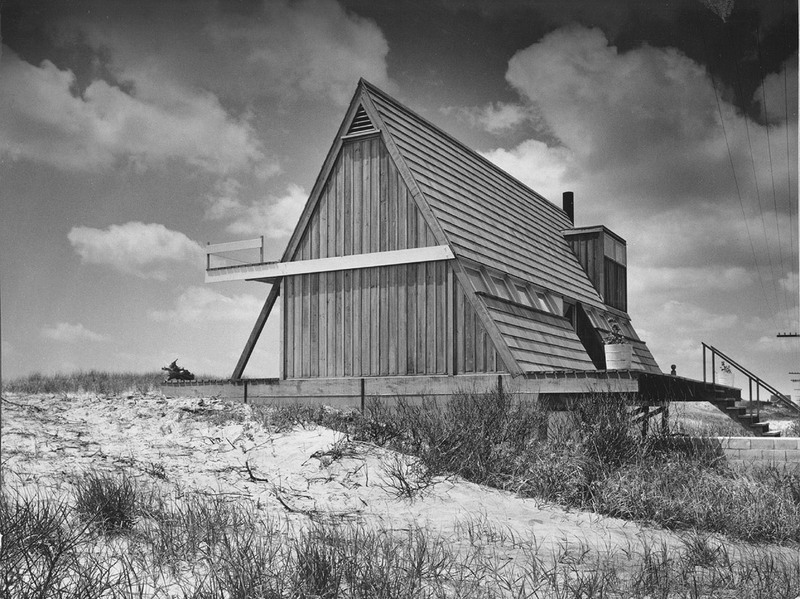 Built for $7,000 in 1957 (about $62k in 2017 dollars), Geller’s experimental forms allowed structures to be built with conventional materials while making for functional and storm-proof architecture. 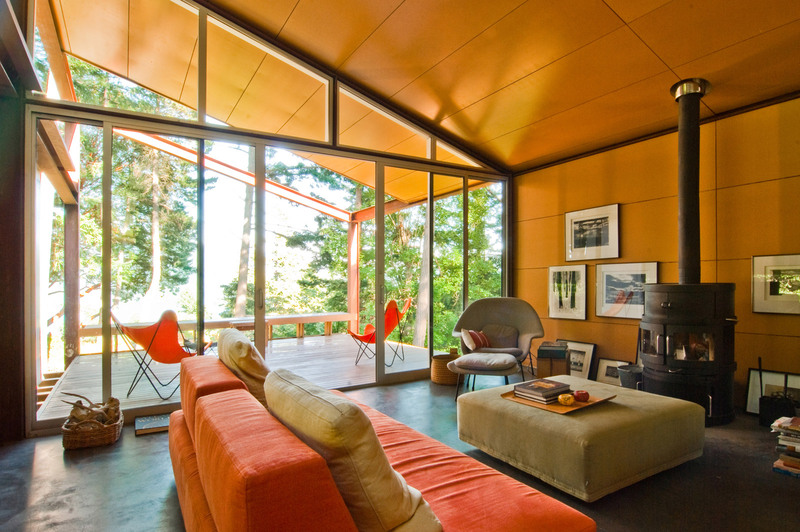 The quintessential study of informal design, the architectures explored at Sea Ranch allow the interior function to play a primary role in the massing while the envelope of the structures is expected to weather and show the patterns of life. The plainness of form is balanced by the elegance of the groundcover passing underneath of the stilted structure. 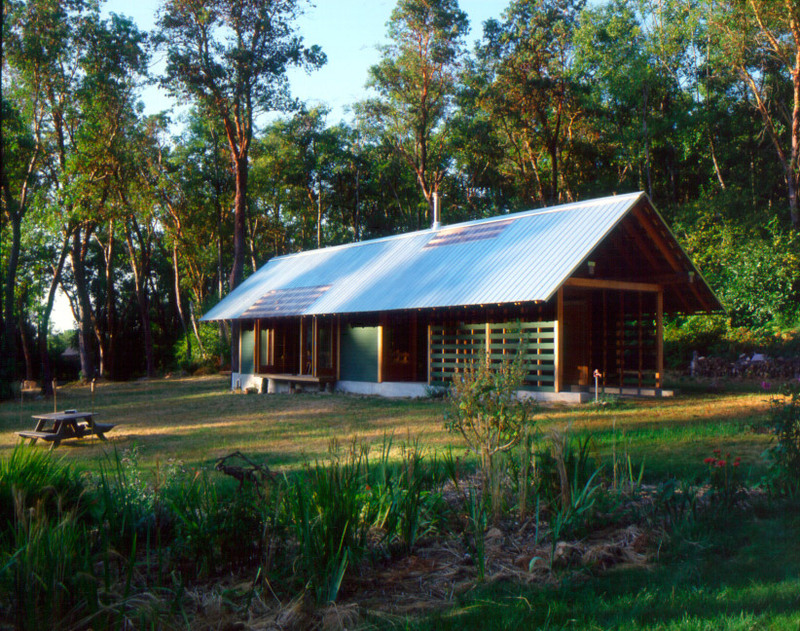 The solitary gable roof establishes a visual harmony while sheltering the cabin’s interior, a breezeway, and tractor shed. 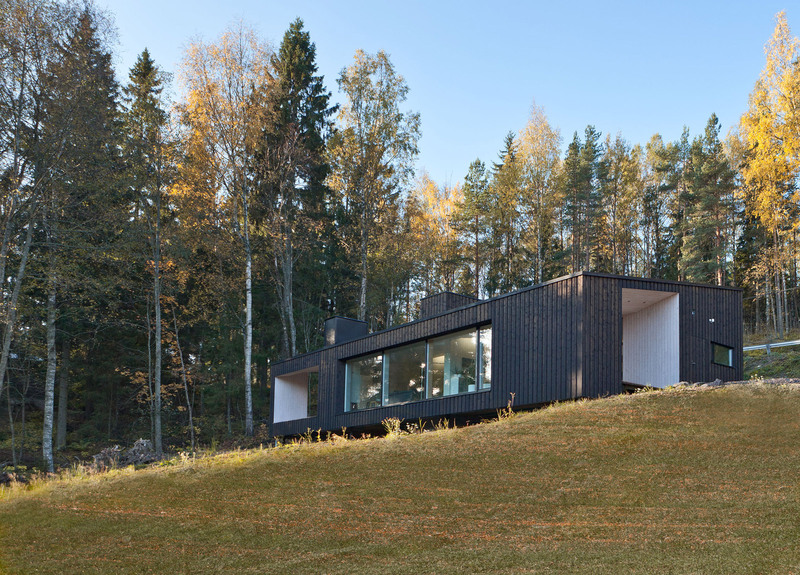 Built as a thesis project by architects Håkan Widjedal and Natasha Racki during their student days, the cabin was thought of as a tool to help explore the qualities and sensations of the site and surrounding nature. The structure is everything it needs to be and nothing more, while the use of simple materials articulates the function within. 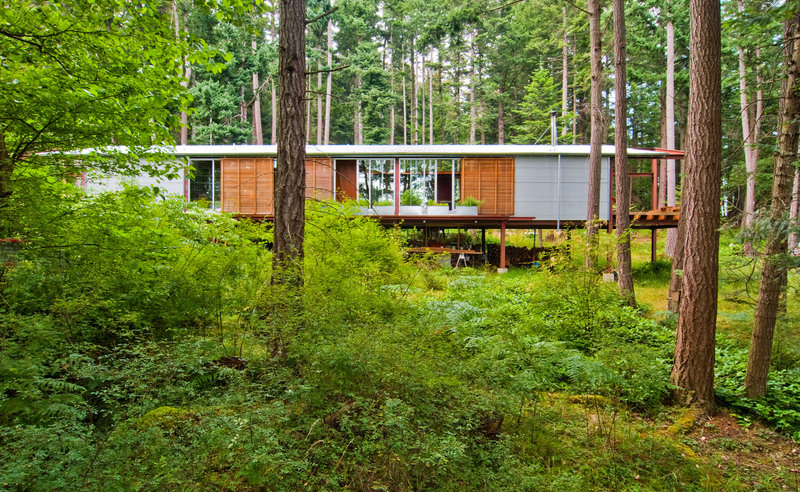 Simple in form and hovering above the meadow slope below, the 1,000 square-foot cabin was originally designed for architecture historian, Kenneth Frampton. The distinction between dark shell and light interior sets up a practical durability with the structure while the slight angles offer a grace to the form. Taking cues from the adjacent landscape, the structure jogs to accommodate its stone base while the cedar siding weathers to a natural silver, matching the surrounding landscape. 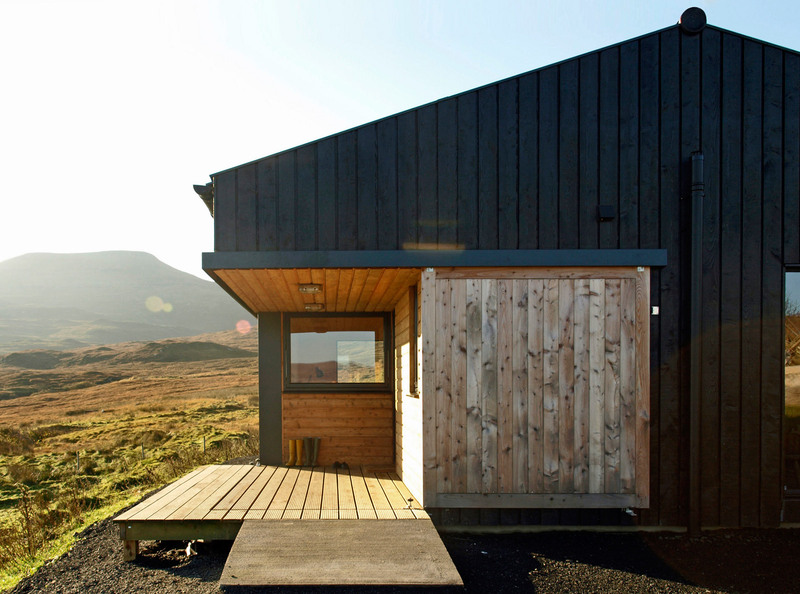 Simple materials and exposed steel connections allow the cabin to achieve an authentic and lasting aesthetic that seems to belong right where it is. Taking inspiration from regional agricultural buildings, the architecture incorporates subtle but effective incisions to create a warm, residential feel. 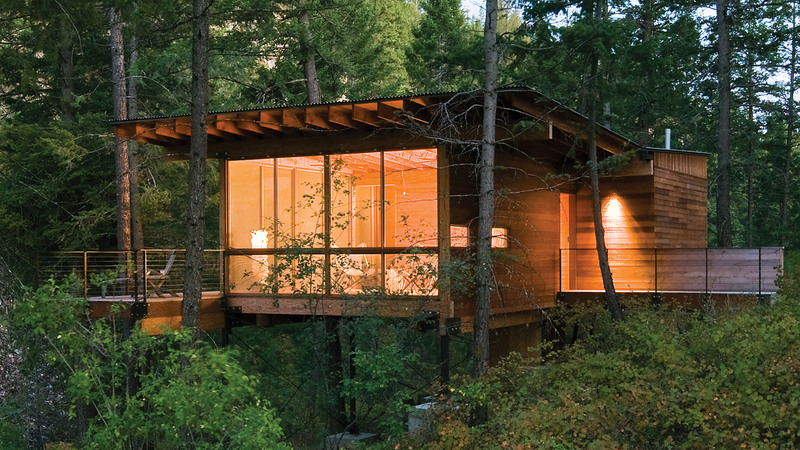 Elegantly hovering above the forest floor, the cabin is outfitted with simple sliding screens to filter the natural light throughout the day. The judicious use of floor to ceiling windows sets up a clear contrast with the dark stained exterior walls of this tidy structure. The dark stained vertical knotty cedar siding provides a low-maintenance shell to the cabin while bright alcoves allow covered entrances and bring personality to the form. 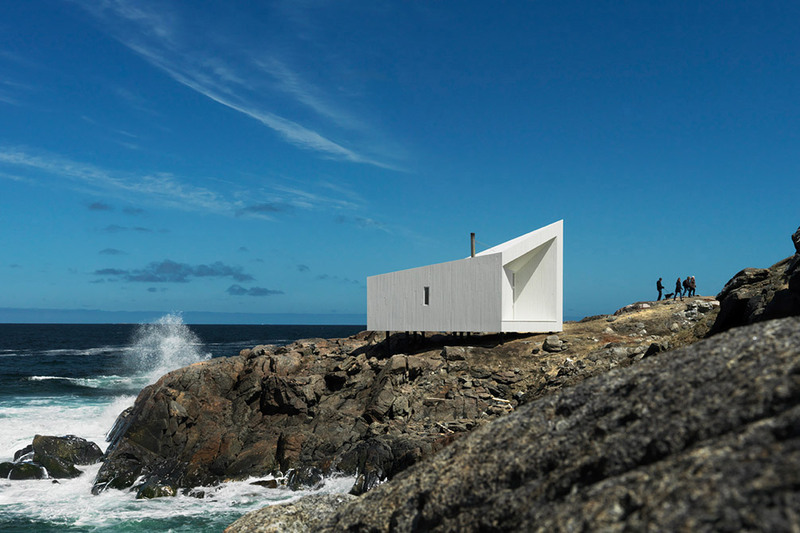 Using local materials and construction techniques, a series of artist studio cabins explore various geometries along the rugged coastline. 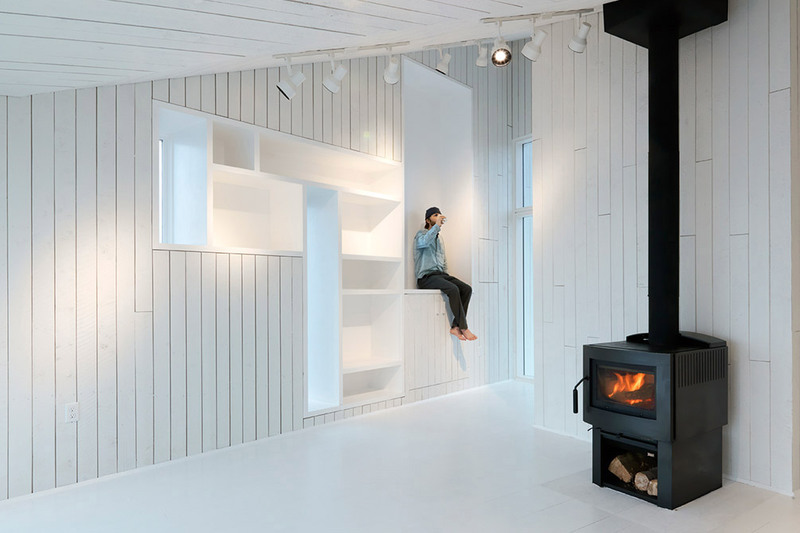 The contrast between stacked firewood and a transparent envelope creates a strong personality within the simple cabin box. These 16 projects are exemplary cabins because they adhere to a design-forward philosophy without losing the sensibility of what a cabin should (and shouldn’t) be. 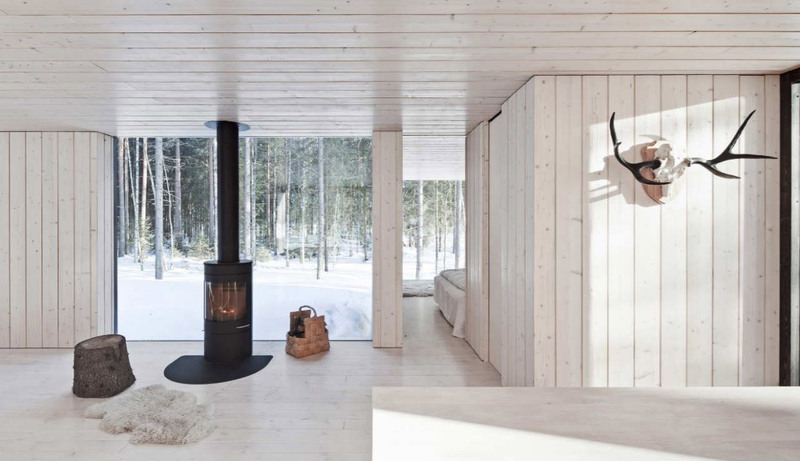 Each design above finds a unique balance between conventional practicalities and a modern exploration of architecture, and each offers good solutions to the equation of designing and building a sensible, modern cabin.